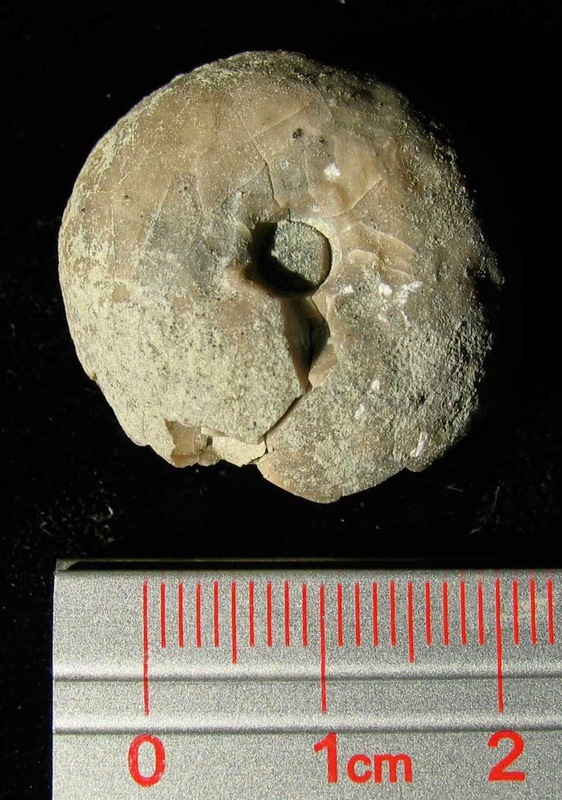 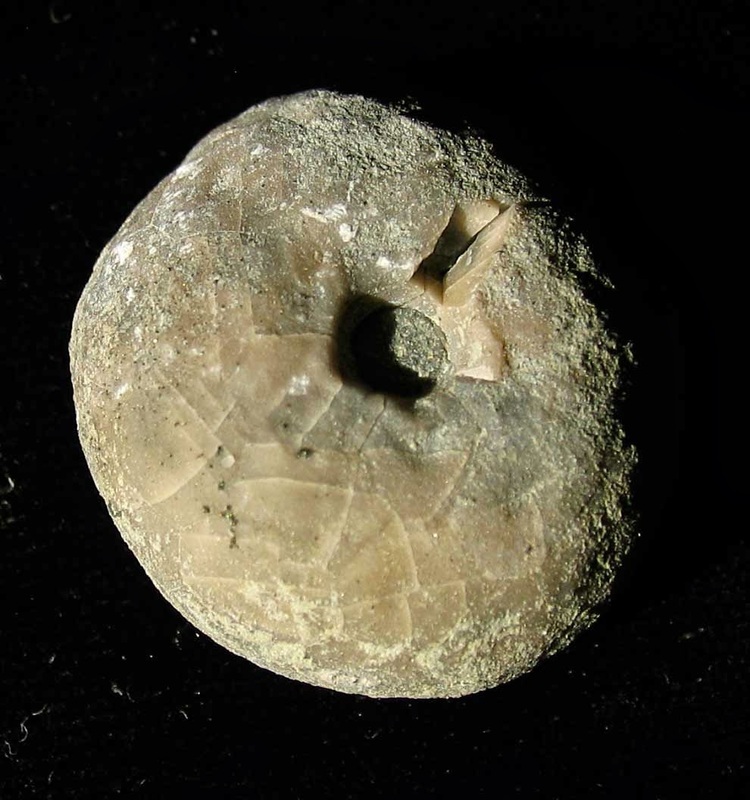 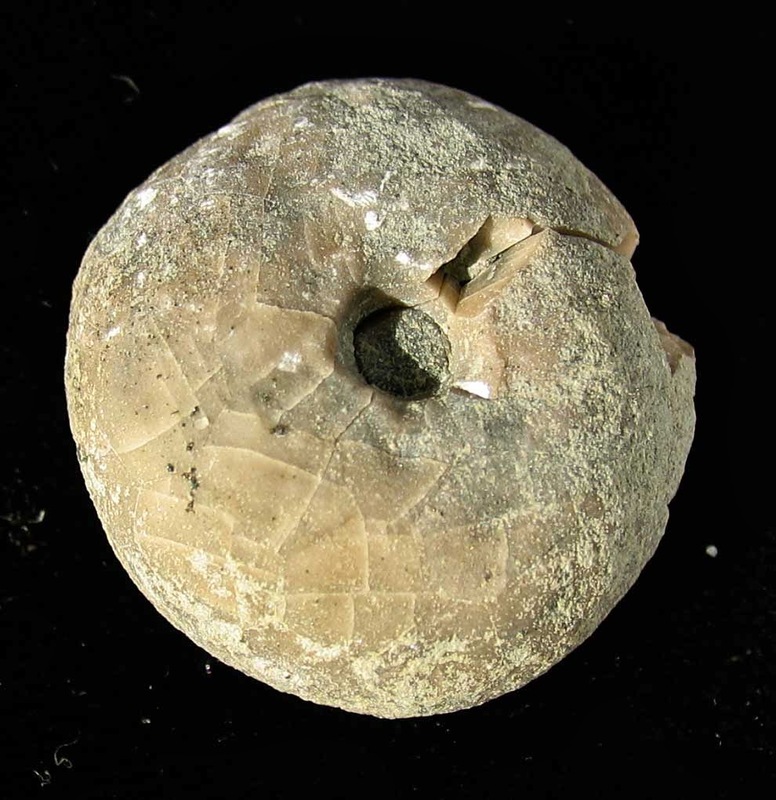 This fossil appears to be the bottom of a Lyriocrinus calyx cup found in the Waldron Shale of Clark County, Indiana. It is dated to the Middle Silurian Period (425-419 million years ago). Here is a blog post showing an arm fragment of this type of crinoid (blog post here).